Photo via Forever Young Records on Facebook. The Grand Prairie record store has reopened after flooding caused significant damage, but the vinyl paradise is still working to get back on its feet. A couple Sundays ago, as the Cowboys’ Super Bowl dreams were falling apart, another tragedy struck Dallas. One of the best stocked record stores in North Texas, not to mention the only record store in Grand Prairie, Forever Young Records was hit by a storm. The family-owned store has been a destination for vinyl-lovers in the Dallas area for over 32 years. What began as a modest booth in Trader’s Village grew into an 11,000 square foot warehouse packed wall-to-wall with music and memorabilia. “We stock over a quarter of a million CDs, DVDs, vinyl, and cassette tapes,” says manager Taylor Eckstrom. The storm caused serious damage to the store and many of the goods inside. Buckets of water later, the store has reopened for business, but there’s a lot of work to be done before things are back to normal. To help cover the repairs, Forever Young is holding a benefit show this Saturday, from 1 to 6 p.m. The free concert will welcome Americana artist Mo Stevens, organic funk group Yellow No. 5, and the Alan Fox Band. Attendees can shop while they listen—it’s worth noting that all water-damaged goods are half off. 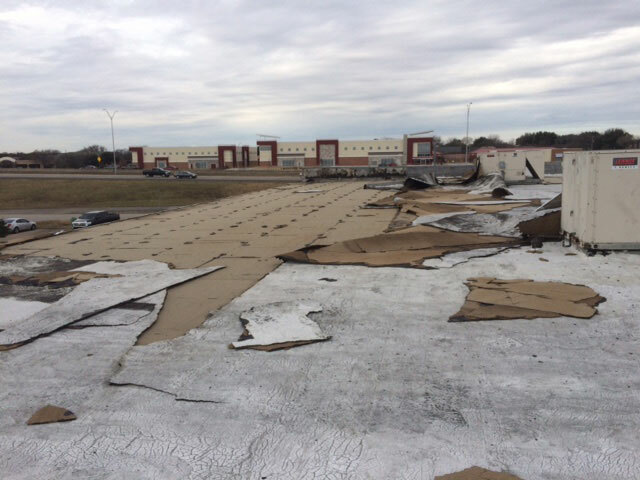 A look at some of the roof damage Forever Young Records sustained in the storm. Photo courtesy of Taylor Eckstrom. 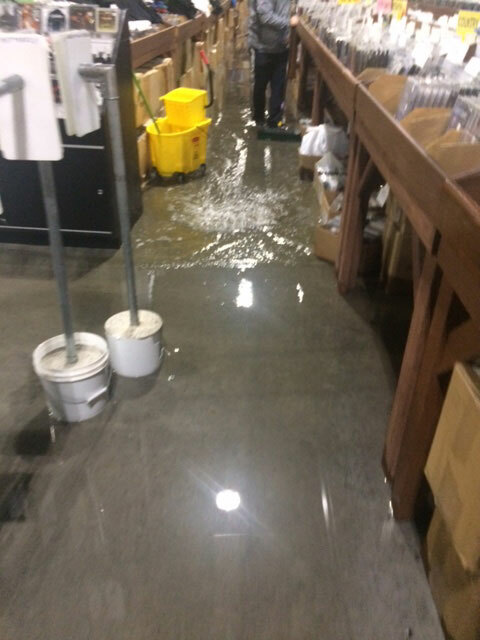 Flooding caused serious damage to Forever Young’s stock. Photo courtesy of Taylor Eckstrom.